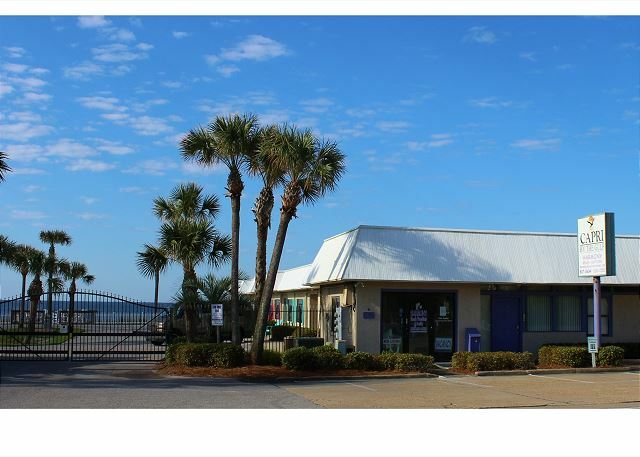 This 1BR/1BA beachfront condo is the perfect getaway spot for a couple looking for convenience to the beach and privacy. The Capri is a small gated complex and your rental here comes with complimentary beach service. We are a 75 year old couple from Arkansas, not AK. Very nice, clean, very well supplied and furnished, and we really enjoyed the rooms. Thank you for sharing your review for Capri by the Gulf #113. We are delighted to know that this nice Arkansas couple had such an enjoyable stay here at the Capri in beautiful Destin, FL! We would love to welcome you all back again real soon as our guests for another wonderful beach vacation stay with us here at the Beach in Destin, FL! Thank you for sharing your review for Capri by the Gulf #113. We're delighted to know that you all so enjoyed the beach location as well as the beautiful beach view from this wonderful condo! Happy Anniversary! We hope to be seeing you all back for #52, here as our guests at the Capri in beautiful Destin, FL! Everything was wonderful. We were well informed by the staff about check in procedures and how to check in if we arrived after office hours. The room was exceptionally clean and well stocked. The bed was comfortable with extra pillows which is exactly what we have at home so we slept great. Even though Capri is just off of Scenic 98 there was no traffic noise. The complimentary beach set up was awesome. Tropical storm Gordon messed up the weather for a couple of days but our room had books and puzzles to help pass the time until the weather cleared. It was one of the most relaxing vacations we have ever had! We will definitely be back. Thanks for a wonderful time! Thank you for sharing your review for Capri by the Gulf #113. We are delighted to know that you all had a wonderful couples vacation stay here at the Capri in Destin, and that you so enjoyed the beach service included with your stay! We're so pleased that you all appreciated all the great features of this beautiful home and that you were comfortable and relaxed. We look forward to welcoming you all back again soon as our guests here in beautiful Destin, FL! This was the best stay in Florida yet, and definitely will be coming back. The staff was very nice, the room was clean and well stocked with anything you need. Being able to exchange towels twice during our stay was a plus also. Would love to see a volleyball net up in the future. Thank you for staying with us and for taking the time to share your review. We are so pleased to know that you all had a wonderful vacation experience. 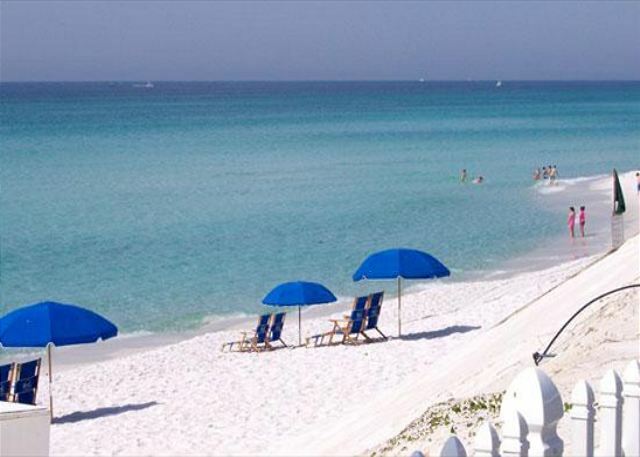 We hope to welcome you all back soon as our guests on Florida's Emerald Coast! Everything was great! We have been staying at the Capri since 2005 and it continues to be our favorite place to stay in Destin. Thank you for your review of Capri by the Gulf #113. We appreciate having you all as our guests over the years and we're delighted to know that you had another great time during your stay at the Capri! We hope to welcome you all back again soon to your favorite place to stay, here at the Capri in beautiful Destin, FL! Third time here and will be many more a gem of a place. Thank you for sharing your review for Capri by the Gulf #113. We are so pleased to know that you all so appreciated this beautiful home and that you had a wonderful stay with us at the Beach! We hope to welcome you all back soon for #4 here in beautiful Destin, FL! We’ve been to this unit before. There aren’t any frills, just a nice clean unit that has what you need. The great part is that 2 beach chairs and umbrella are included in the room charges, and it’s only about 20 feet from the room door to the steps down to the beach. We thank you for your review for Capri by the Gulf #113. We are pleased to know that you all so enjoyed your stay in this beautiful home and that you appreciate being so close to the white sandy beach! 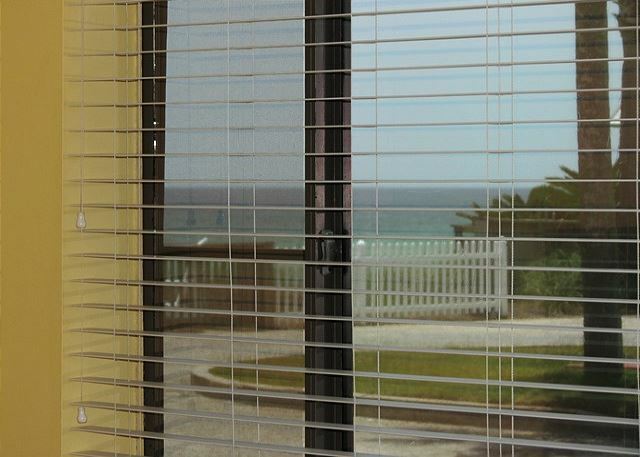 We hope to welcome you back again soon for another great stay with us here at the Beach in Destin! Had another great time at Capri by the Gulf! This was our 4th straight year coming to Capri by the Gulf. We love it! #113 is our favorite unit. We talked about it so much that my in-laws went for a week! Thank you for sharing your review for Capri by the Gulf #113. We are delighted to know that you all had another wonderful beach vacation stay in this beautiful home, and we're so glad to have had your family stay with us too! We would love to welcome you all back again soon as our guests in beautiful Destin, FL! We were very pleased with Capri 113. It was clean and spacious for 2 people. The bed was so comfortable, we slept really well. Our only suggestions would be to have more than 2 washcloths in the bathroom. Definitely need more if your not planning on doing laundry everyday. We went out and bought our own washcloths just to avoid daily laundry. The other suggestion would be to have some type of lighting near the gate entrance as it was difficult to see to put your code in to open the gate when it was dark. Thank you for your review of Capri by the Gulf #113. We are delighted to know that you all had a pleasant stay with us at the beach and that you slept so comfortably in this beautiful home! We would have been happy to bring you all by some additional washcloths, so please let us know anytime you need anything. We're always happy to assist our guests in any way possible. We appreciate your suggestion about the gate as well. We hope to welcome you all back soon as our guests in beautiful Destin, FL! Best room we have ever had at this motel. The bed was fantastic. Thank you for your review for Capri by the Gulf #113. We are delighted to hear that you all so enjoyed this beautiful condo and that you found the bed comfortable! We hope to have you all back again soon for another wonderful beach vacation stay with us and we hope it will be all sunshine for you next time! First timers to Destin, loved, loved, loved Capri 113, classy deco, great weather the whole week. Everyone friendly and nice. Will definitely be coming back! Thank you for sharing your review for Capri by the Gulf #113. We are thrilled that you all so enjoyed the 'best kept secret' in Destin! We so appreciate having you all as our guests for your first time to Destin and we look forward to welcoming you all back soon for another wonderful beach vacation stay with us here on Florida's amazing Emerald Coast! Thank you for sharing your review of Capri by the Gulf #113. We are so pleased to know that you all had a great beach vacation stay in this beautiful home and we hope to welcome you all back soon as our guests at the Capri for another wonderful beach vacation! Thank you for sharing your review for Capri by the Gulf #113. We are delighted to know that you so enjoyed your stay with us in this beach condo and that you enjoyed the beach, and the gated community! We hope to welcome you back soon for another wonderful stay with us here in beautiful Destin, FL! We stayed in the Capri 113 for 7 nights. The rental was very up to date, clean and quiet. Close to the beach. Would definitely stay here again. Thank you for sharing your review for Capri by the Gulf #113. We are so pleased to hear that you all so enjoyed your stay with us in this beautiful home and that you enjoyed being close to the beach! We hope to welcome you all back real soon for another wonderful beach vacation here at the beach in Destin, FL! Thank you for sharing your review for Capri by the Gulf #113. 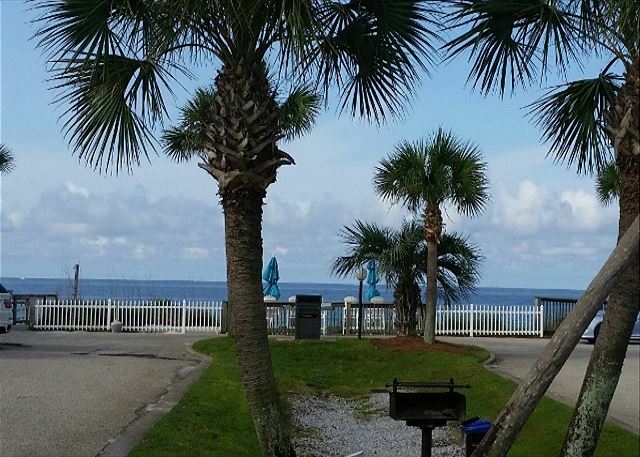 We are so happy to hear that you all had a 'Perfect Vacation' stay in this beautiful beach condo, and that you enjoyed the quiet, relaxing, not crowded beach! We would be delighted to welcome you all back soon as our guests in beautiful Destin, FL! Thank you for sharing your review for Capri by the Gulf #113. We are so happy to hear that you had a relaxing stay with us and we hope to welcome you back soon as our guest in Destin! Our second visit to Capri and we are just as happy as the first time! 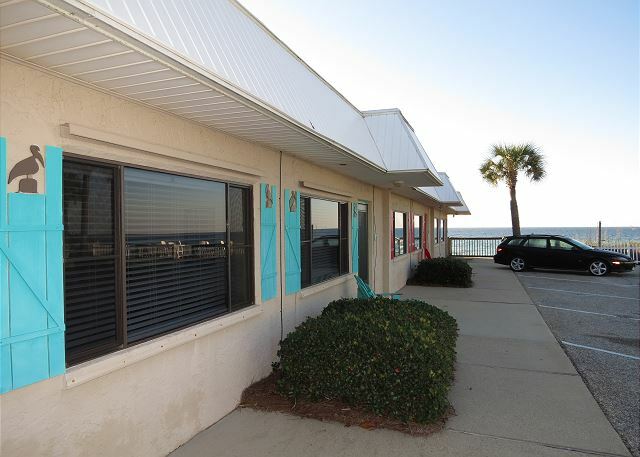 Right on the beach, great condo, always clean and welcoming! Thank you for sharing your review for Capri by the Gulf #113. We appreciate having you all as our guests a 2nd time, and we are quite pleased to know that you had another wonderful beach vacation! We would love to welcome you all back soon as our guests at the Beach! We searched 1 bedroom/beachfront, and we are glad Capri by the Gulf came up. The unit was clean and comfortable, and we were in our beach chairs (which we didn't pay extra for) in about a minute walk from our room. The beach wasn't crowded in our area, and the deck with tables overlooking the beach was an added bonus. Everyone was friendly and helpful, and it was easy to find. I was a little worried since the outside looks a little like a 1960's motel in the pictures, but everything was updated inside the unit, and we loved it! Thank you for sharing your kind review. We are so pleased that you all found our wonderful Capri by the Gulf condos and that you had a pleasant stay with us at the Beach! We would be delighted to welcome you all back soon as our guests in Destin, FL! Our unit was perfect bit had everything we needed & was very clean. 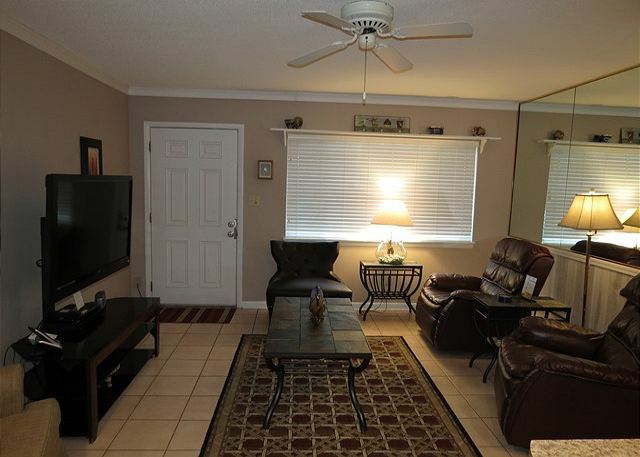 It is a quiet condo & such easy access to the beach. I can't wait to plan next years vacation here. Ratings are all 5. Thank you for your kind review. 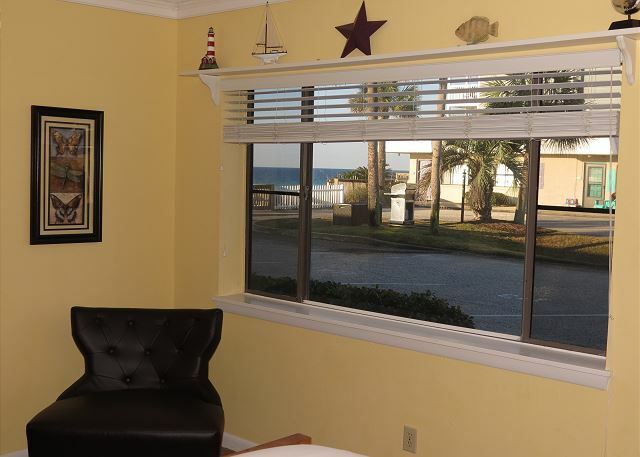 We appreciate having you all as our guests at Capri by the Gulf #113 and we are delighted to hear that you all had an awesome vacation stay with us in this beach front condo! We hope to have you all back very soon as our guests at the Beach in Destin, FL! Room was great. Been vacationing in Destin since 1967. At least 14 years at the Capri, never have had a bad experience here. This is a special place to me and my wife. Thank you for your review for Capri by the Gulf. We so appreciate our valuable guests such as yourselves coming back year after year to this special little place on the beach. We look forward to having you all back many more times to come as our guests at the Capri! This was our third trip and the best to date ! easy in , easy out ! Thank you for your review. We are delighted to hear that you had the best July 4th Vaca during your stay with us at Capri by the Gulf #113 in Destin! We hope to have you both back soon as our guests at the Capri! I called at last minute and they were very accommodating. I ask for the Capri because I Wanted to be near my sister. I received a discount and they also let me rent for 4 nights instead of the required 5. The room was perfect for me and my adult daughter. It is small and only accommodates two unless you want to bring an air mattress. The condo was lovely and we have beach service and we're just a few steps from the beach. I will probably stay here again. Harmony employees were all very helpful. Thank you for taking the time to share your review for Capri by the Gulf #113. We are delighted to have had you and your daughter as our guests at the Capri and we're so pleased to hear that you both enjoyed your stay in this beautiful condo, as well as the complimentary beach service and easy beach access. We thank you for complimenting our employees! Our staff enjoys hearing that they are appreciated by our guests! We completely stumbled upon your beach rental opportunity. Simply driving down the street and stopped in. We thoroughly enjoyed the beach and the beautiful weather. Unit was clean and comfortable and very nice. On our return trip home we discussed doing this again with you within the next six months. It was a fabulous weekend thanks so much can't wait to return. Thank you for sharing your review. We thank you for staying with us and we are very pleased to hear that 'she loves the beach'(we do too!) and that you all will be staying with us again soon at Capri by the Gulf! We're so glad you stopped in and we welcome you back anytime! It was a hectic drive. Rain, wrecks and construction. But it was all worth it. My brother had selected a beautiful location for his wedding. Our destination was room 113 at Capri by the Gulf in Destin, Florida. We could see the beach from our window and hear the sound of the waves crashing. The memory of the drive getting there faded away as soon as we opened the complementary bottle of wine. Our family had 4 completely different rooms (ours being the best). Recliners, couches, loveseats and outdoor seating made our gossip times fun. The weather cleared on my brother’s wedding day. As we all stood on the private beach, the beautiful bride descended the wooden stairs to join her new husband and start a new life together. Rented tables and chairs were set up by the deck and our new combined families enjoyed a wonderful evening celebrating. The following day was filled with fun things to do. Some went on a dolphin cruise, some went into the water (in November, the water is too cold for me) or worked on their tan. We also played cards in the rain on the deck at twilight. There were a few things that didn’t go smoothly. My brother-in-law’s is in a wheelchair (due to an accident) and had to use his crutches to walk down the steps to the beach. The other thing that was an issue was the wifi service. We were not able to connect to the internet in our room, but others could. (I was on vacation, but still needed to check emails for work). I will forget the little problems and soon will have only good memories of a beautiful wedding at sunset on the beach at Capri by the Gulf in Destin, Florida. Thank you for sharing your review. We are so delighted that you all stayed with us for such a special occasion and we congratulate the new couple as well as the families on this new marriage! We hope that you all will come back year after year for family reunions! We certainly are always more than happy to offer assistance connecting to wifi, or any other difficulties that may occur, so please let us know on your next stay with us of any issues that we can assist you with. Thank you again and we hope to have you back soon as our guests at the Capri! 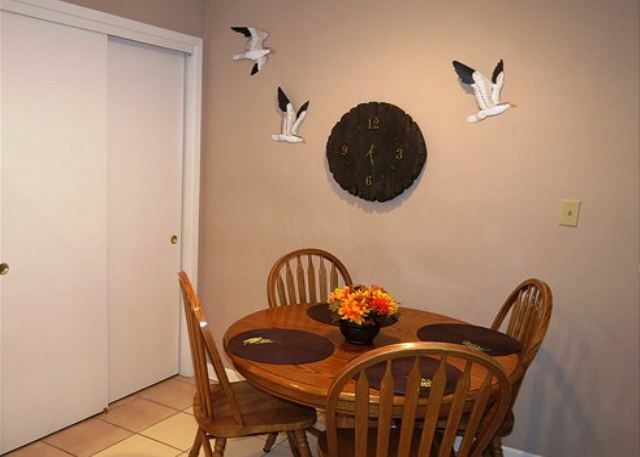 Beautiful condo, all the comforts of home and the beach just a few steps away. We couldn't have asked for anything more, other than another week to stay !! Thank you for sharing your review. We are so pleased that you all enjoyed your stay with us and we welcome you back for another week at the Beach anytime! Thank you for sharing your kind review! We appreciate having you as our guests over the years and we look forward to having you back soon as our guests at the Capri! When we first drove up, we were a little hesitant, but the condo was beautiful! Nicely decorated, had everything we needed. 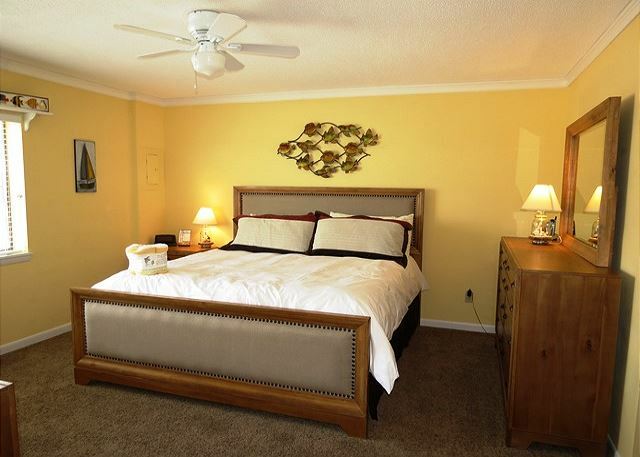 Comfortable bed, beautiful decor throughout, updated granite bathroom & kitchen. Beautiful view and a nice surprise of 2 chairs and an umbrella included. Enjoyed the private beach and crystal clear water. Very close to everything. Would definitely stay here again. rented this room for my oldest son's family. This is by far one of your nicest rooms. Best water on the Gulf. 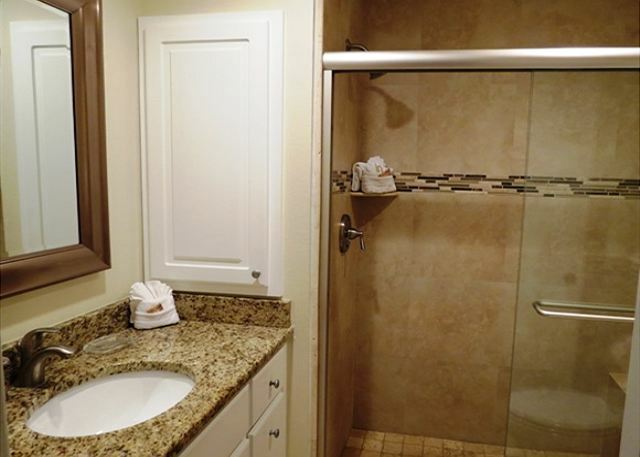 The Capri is a smaller old-feel complex and Unit 113 was newly remodeled with first-rate construction. This was the best vacation! Everything was perfect. I have to do my own cooking because of food allergies, and found it so helpful to see a kitchen that was stocked with all utensils needed. We also enjoyed the outdoor grill. We were the first to use the new grill. This is a great place and we will be back. Thank you for sharing your review. We are delighted that you all enjoyed your stay so much and that you had the 'best vacation'! We're glad you enjoyed using the kitchen and the grill. We look forward to having you as our guests again! This was my third stay at The Capri By The Gulf. 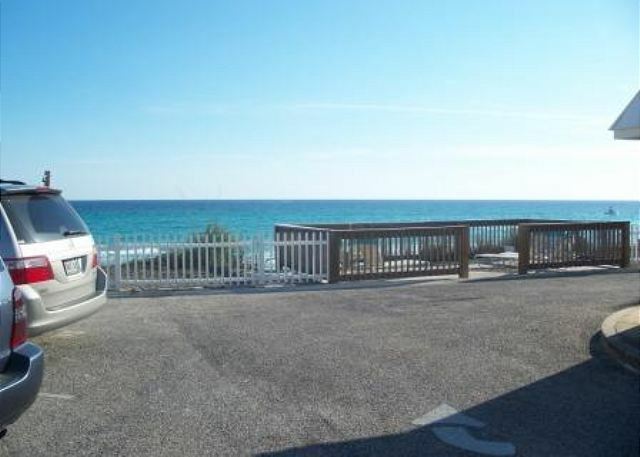 The condo is conveniently situated on Scenic HWY 98 and is just steps away from the pristine gulf waters and white sands of Destin. It's also very close to great restaurants, shopping and grocery stores. 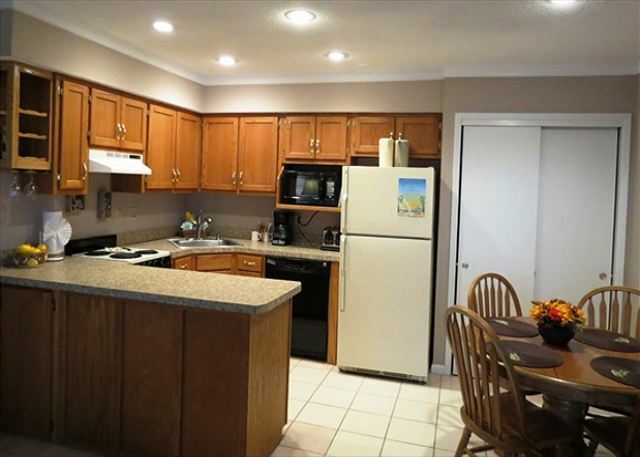 The condo is in excellent condition and has great upgrades. 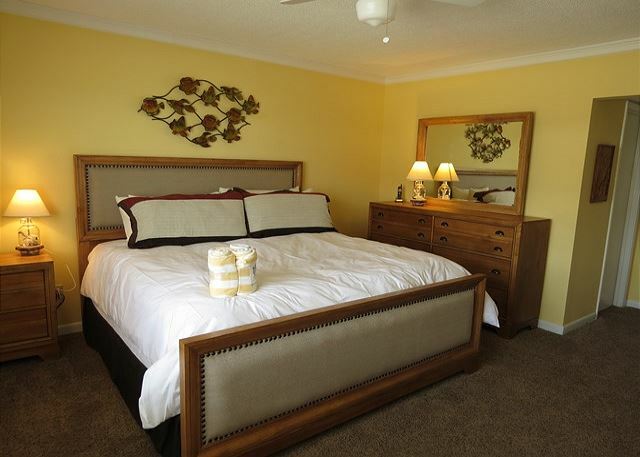 This unit was fully furnished with all the house ware items you need to ensure you have a truly enjoyable vacation. In case you forget to pack your beach towel, don't fret, The Capri provides four (4) complimentary beach towels in your unit. The only item worth noting is that several cable channels were not emitting sound. But this issue did not have any affect on the overall stay at The Capri. Overall, my experience at The Capri was outstanding and am looking forward to my return there. It is a great place for couples, families and friends. Thank you for sharing your review. We are so pleased that you all enjoyed your vacation home so much! We do hope that our guests will always contact us about any issues with their cable, or anything else, so that we can quickly remedy this and our guests can completely enjoy their stay. Thanks for adding details about the area that future guests can consider when selecting their vacation home. We'll see you next time at the Beach! Thank you for sharing your review. We appreciate having you stay with us and we're so glad you all had a 'Relaxing Getaway'! We hope to have you back soon as our guests in Destin! Thank you for taking the time to share your review. We look forward to having you again as our guests! our stay with harmony was very nice & clean. They worked very well with us in trying to get us a view of the gulf & it did work out. we would for sure go back. Thank you for sharing your review. We're so glad you were able to enjoy the Gulf View and we hope you will come back soon! 2nd stay in the same unit. Plan on reserving for next year soon. Love this place. Disappointed that deck was closed even though new outdoor furniture was displayed. Adirondack chairs need to be replaced in front of some units. These added character and charm. Great room w/everything you need. Nicely decorated, great location. We will def be back!! My wife and I went on our first vacation alone in over 28 years (kids Grown). #113 was fabulous as were the staff. It had everything we needed and was extremely comfortable. 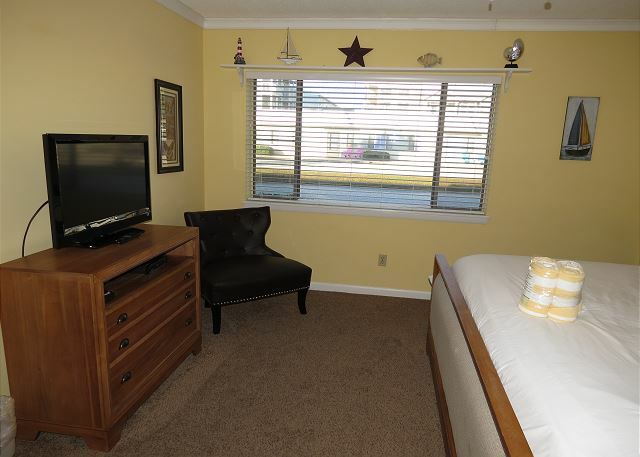 The condo also had updated entertainment centers in both the bed room and living room. The king bed was exceptional, as were the appliances including that cold ac. We spent eight nights and it was comfortable enough to stay 8 months, I highly recommend this Condo and the folks at Harmony Beach Vacations , Inc.. we will be coming back!! This was our 3rd stay at the Capri. Love that you drive right up to the door of your room. Always clean and the staff is friendly and helpful. Very safe and secure and great atmosphere. We will continue to come back. My husband and I really enjoyed this room. It has a full kitchen which is one important thing to me when traveling. It is gated so it makes you feel really secure and it 'a right off the beach. What more could you ask for?! We will definitely be back and recommend it to everyone. Very clean and updated!